2. To what recent news item does this cartoon refer? 3. One type of humor editorial cartoonists use is irony. Irony is defined as when the opposite of what you expect to happen occurs. Describe the irony in Mike Lester’s cartoon. On Aug. 12, violence broke out at a protest from a white-nationalist group opposing the removal of a Robert E. Lee statue in Charlottesville, Virginia. A driver ultimately rammed his car into a crowd of counter-protesters, killing one woman and injuring more than a dozen other people, police said. 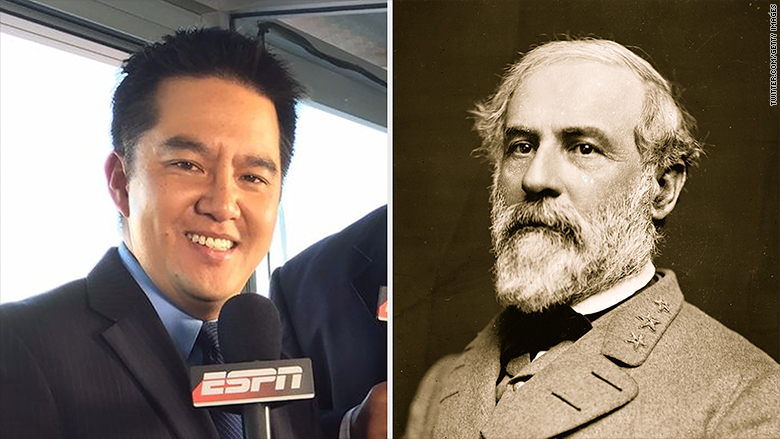 In the wake of the events in Charlottesville, ESPN decided to pull one of its announcers from calling the University of Virginia football game season opener on Sept. 2nd in Charlottesville and move him to the Youngstown State game at Pittsburgh — because his name is Robert Lee. 3. 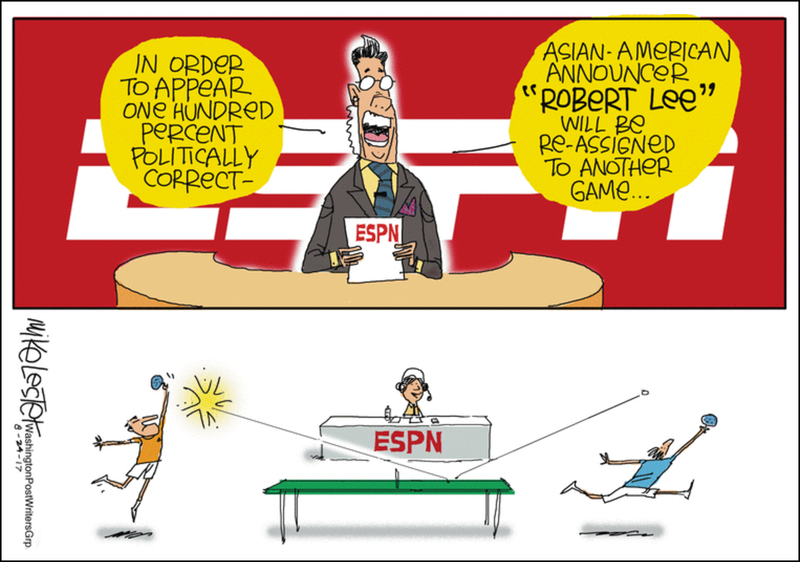 Describe the irony in Mike Lester’s cartoon.